Parsons Engineering Ltd is the UK’s largest engineering and manufacturing facility specialising in the production of Gaseous Pollution Control Equipment. 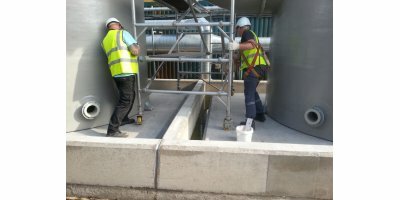 We have over 40 years of experience in the design, manufacture and supply of corrosion resistant plastic plant utilising the following technologies: Wet Chemical Scrubbing. Carbon Adsorption. Catalytic Enhanced Oxidation - Odorgard developed by ICI. Parsons Industrial Plastics and Engineering Company (Walsall) Limited was founded by Cliff Parsons in 1969, the company enjoyed strong growth in the early years and became a major manufacturer of corrosion resistant ductwork to the motor industry, metal finishing and chemical industry. Environmental awareness was very much in its infancy back in 1977, and the company decided to specialise in the field of Gas Scrubbing and Pollution Control. A strong bond was made in the early days with the School of Chemical Engineering at the University of Birmingham and much research work was done to enhance the data base of mass transfer information. This database continues to be the core knowledge database of the company and following each installation the results from the commissioning are used to verify process data. 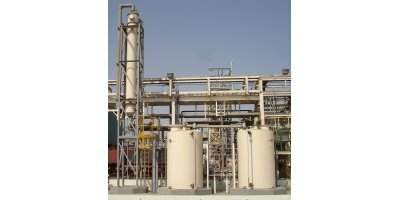 Whilst the company enjoys an enviable reputation in the pharmaceutical and fine chemical industry, it expanded into the semi-conductor industry becoming the primary supplier of gas scrubbing equipment for acid exhaust systems. Currently the company has completed the first UK Graphene installation; Graphene has the potential to be the most important discovery in material science. Within the chemical industry, Parsons continue to offer turn-key systems such as the recently completed Nitric Acid (HNO3) scrubbing package, for a gold refinery process at a copper mining facility. 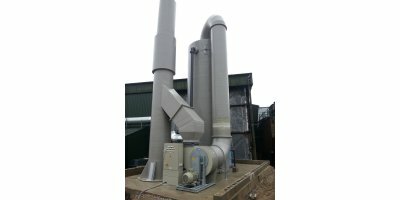 As well as being a leading manufacturer of gas scrubbing and thermoplastic process plant, Parsons have also become the largest operator of rented air pollution and odour abatement systems. These are designed, manufactured, installed and operated on behalf of customers as there is a growing desire, by major companies, to appoint accredited experts to operate systems as part of their Integrated Pollution Control Management. In much the same way as companies appoint third party waste management to ensure compliance of growing legislation. Odours can emanate from many types of processes; sewage treatment, animal processing, food production and brewing. Whilst these odours are not necessarily high enough to constitute a health risk they are classified by the Environment Agency as a nuisance. These odours can be made up of many components, not all of which can be sensed by the human nose, but to ensure there is no detectable odour at the Site Boundary Limitations, removal efficiency of the odours ranging in parts per billion have to be achieved. Odours can change hour by hour, in some processes, and so it is almost impossible without expensive gas analysis to determine the process duty and hence create a meaningful process guarantee. 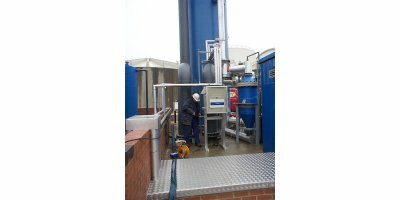 Parsons are unique in being able to offer clients the opportunity to hire full size odour abatement systems for short term rental, to evaluate high efficiency wet chemical scrubbing technology as a means of providing a solution. This is deemed by the Environment Agency as Best Available Techniques (BAT). This ability ensures Parsons can offer meaningful operational guarantees without clients taking financial risks. To date, every single plant that Parsons have installed has satisfactorily complied with all Environment Agency requirements. The early experience gained in manufacturing plastic ductwork systems proved invaluable, and as installations have grown in size, so has the manufacturing inventory. Ductwork up to 3000mm diameter have necessitated developing a diverse range of control dampers and associated equipment. As hitherto sizes were not available, Parsons engineers went back to first principles and designed the required equipment so that projects could be completed. These early developments led to the extensive manufacturing inventory now available to all of our clients. Parsons moved into a new purpose built factory and office complex in 1983 and subsequently purchased the adjacent site in 1998, which it occupies today. Now with over 40,000 square feet of manufacturing facilities located on a two acre site, conveniently situated to junction 10 of the M6, Parsons has the largest specialist manufacturing facility of its type in the UK. With over 45 years of equipment design and manufacture, Parsons is able to offer a wealth of expertise and experience to all of its clients in many industry sectors both in the UK and overseas. Major installations are now located in Singapore, Hong Kong, Indonesia, Switzerland, Spain, France, Turkey, Ireland, Belgium, Zambia, the UAE and the USA. The company continues to grow by increasing focus on complete turn-key construction management contracts. Parsons have always been industry leaders not least of which in the embracing of CAD/CAM technologies, now fully integrated in Parsons. Recently the use of Laser surveying equipment has enabled Parsons engineers to augment their surveying techniques to enable highly accurate site surveys. Existing plant interfaces can be digitally modeled, which enables the integration of new plant into existing plant appear seamless. The same equipment is used during manufacture to ensure high levels of dimensional accuracy. This data is archived; which is particularly important on large construction vessels or ductwork where there are significant spatial constraints. Computational Fluid Dynamic modelling is another new and exciting development for Parsons. 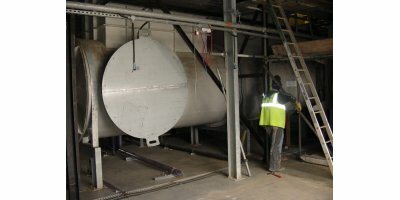 This is a technique where a number of process scenarios can be developed for the purposes of modelling ventilation streams, within a building, to ensure all toxic or odorous compounds are effectively collected. This provides minimal wastage of uncontaminated air which enable various operating protocols to be fully understood before equipment is installed. This is used principally in the nuclear industry. Continuous developments enable Parsons to offer their clients a fully integrated design, manufacturing, installation and construction management service for any project, big or small.